Self tailing…yah! I started crewing last summer. My upper body strength is not optimal. 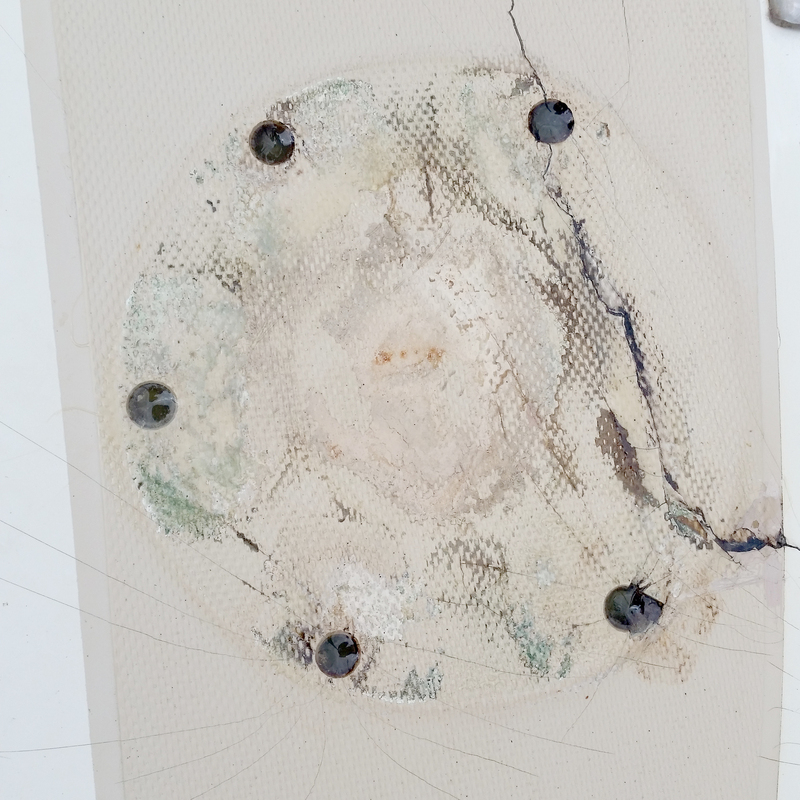 We came so very close to buying a boat this winter (Near immaculate 1986 Catalina 24…she was well-loved and cared for) but she was a bit above our cushion for repairs, moving, storage and mooring. Reading your post actually made me feel we did the right thing. 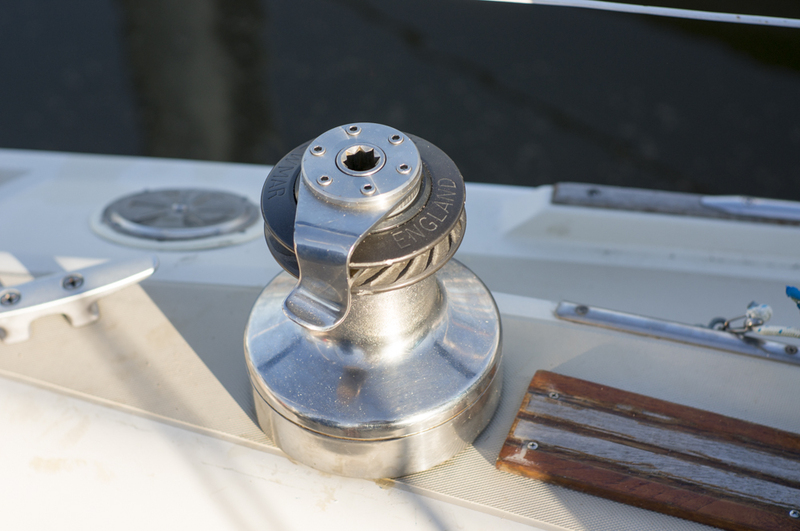 How many weekends invested in your winches? That said…they look great and will be worth it. Oddly enough…I found your blog on /r/sailing but I’m more of a lurker. 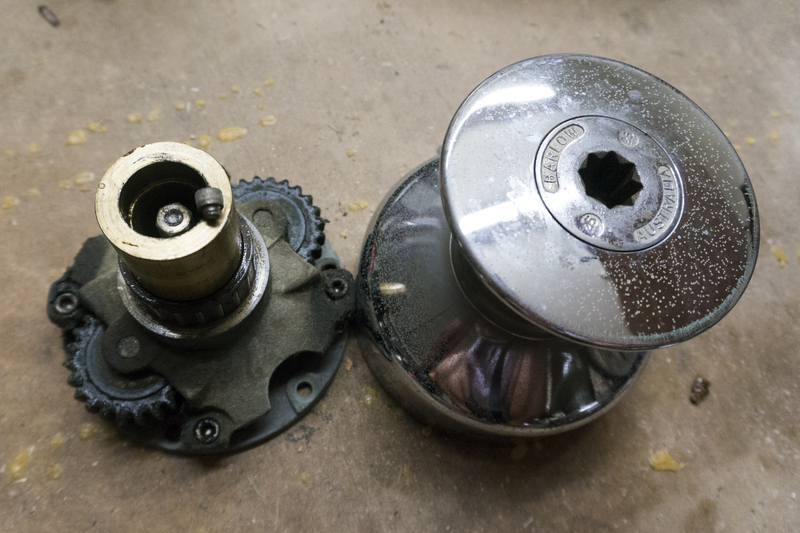 Well, there was one weekend of just half-heartedly fiddling with the old winches. One weekend of finally getting the old winches off and doing most of the epoxy work. One weekend of more epoxy work and getting the new winches on. Then last weekend we took time to snug up all the bolts before heading off on our Easter trip. So I guess if you’re REALLY counting, it was four weekends before the entire process was finished, but it wasn’t a solid four weekends, just an hour or two a day. Had we really made a decision to replace them and gotten everything together from the beginning (like instructions) we could have been finished in two days. Catalinas are great boats. Did you guys buy something else or are you still looking? On our previous old Arpège, a 30 ft Dufour from 1976, I had two old Lewmar 40, non ST, and the genoa was almost twice as big as the mainsail. We replaced them with two Barlow… was it 25 or 27 ? ST ones, it’s funny to see you’ve exactly on the opposite way ;-). By the way, Dufour, in the seventies, didn’t bother with backing plates either. I’ve got Lewmar on Roz Avel now. You’re perfectly right. 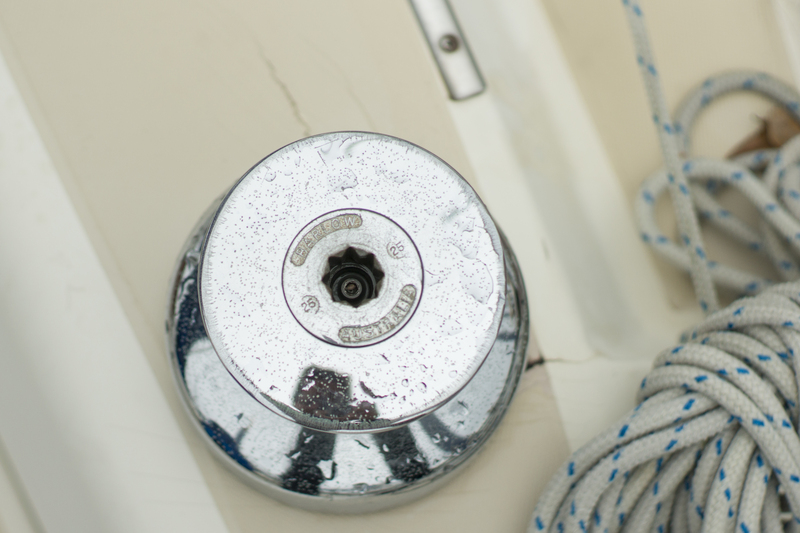 Good winches with a bit of servicing can last longer than their skipper. Hi! 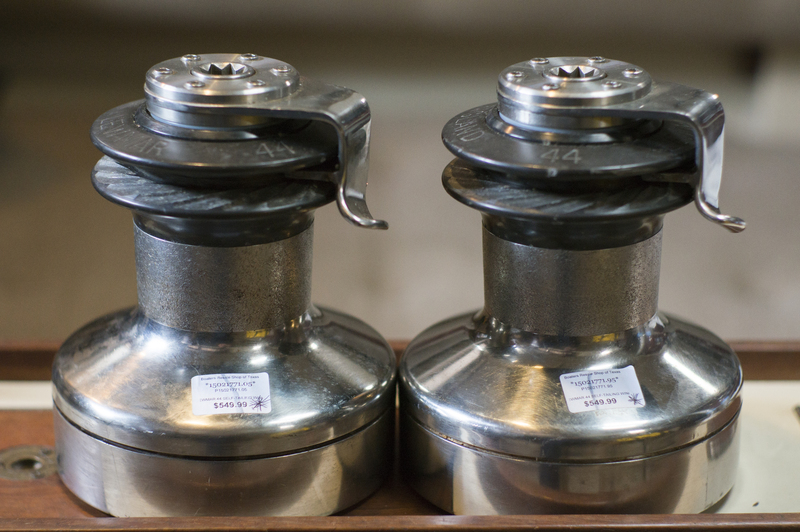 I’ve got a pair of large spring-jaw Lewmar ST winches which i need to service. The pdf you got from Lewmar might be a great help. I tried to access the google-drive you mentioned but I dont have access to the file. Would you mind sending it to me? 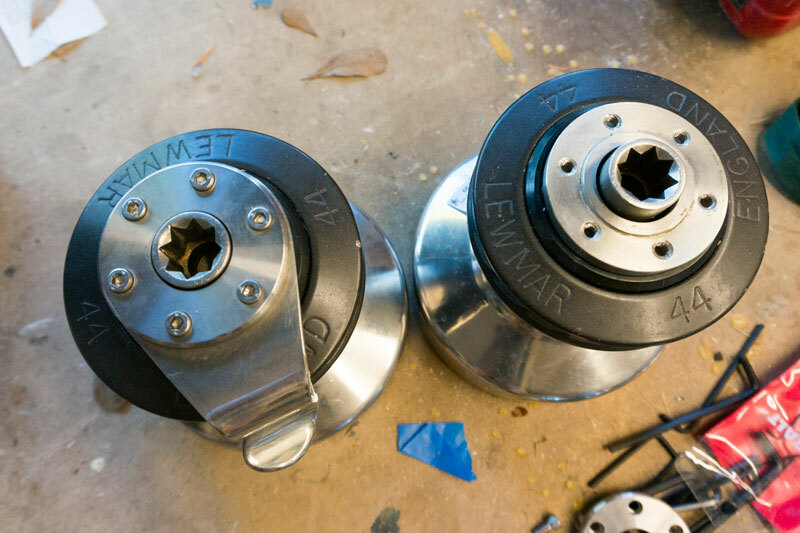 I’ve got a pair of large Lewmar Spring-Jaw ST winches that I’d like to service. The PDF you got from Lewmar would be a great help. I tried the Google-Drive link provided but I don’t have permission to access it. Would you mind sending it along? Just email me at svgimmeshelter@gmail.com and I’ll send it to you.